Maturation: A mix of Refill Bourbon- and Oloroso casks. Buying Advice:😀 Good Price/Quality Ratio. Very mainstream though! Nose: My first impressions are Fresh Wood, Grain Alcohol and Vanilla. The Extra is a blend of Grain Whiskies (Around 70%) and Single Malts (Around 30%). A substantial part of the Single Malt content matured in Ex-Sherry casks. I also think some first fill Ex-Bourbon casks were used to compensate for some of the very young whiskies that are part of this Blend. 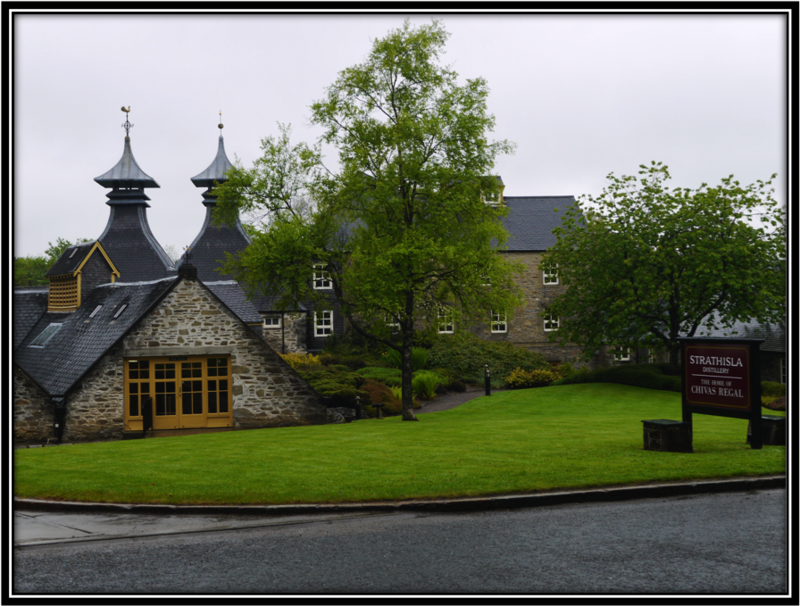 The Sherry casks are noticeable via rather discrete notes of Dried Fruit (Raisin, Apricot), Dairy and Chocolate. I also find Cereals, Buttered Toast, Brown Sugar, Caramel, Banana, Orange Peel, Apple, Honey-Melon, Pepper, Cinnamon and a few Herbs. On the Nose, the Extra is Sweet, Thin and slightly Boring. No Off-Notes though. Palate: Quite Thin and Mainly Sweet with a few Bitter Oak notes. I find Toasted Cereals, Brown Sugar, Vanilla, Caramel, Toffee, Marzipan, Dried Fruit, Nuts, Apple, Banana, Grain Alcohol, Refill Oak, Dried Herbs, Pepper, Cinnamon, Ginger and Milk Chocolate. Finish: Thin, Middle-Long, Bitter-Sweet and Dry. The Bitterness of the Oak is more noticeable towards the end. I find Grain Alcohol, Refill Oak, Orange Peel, Grapefruit, Caramel, Marzipan, Cereals, Pepper, Cinnamon, Ginger, Chocolate and Nutella. The Chivas Regal Extra does not improve with added Water. 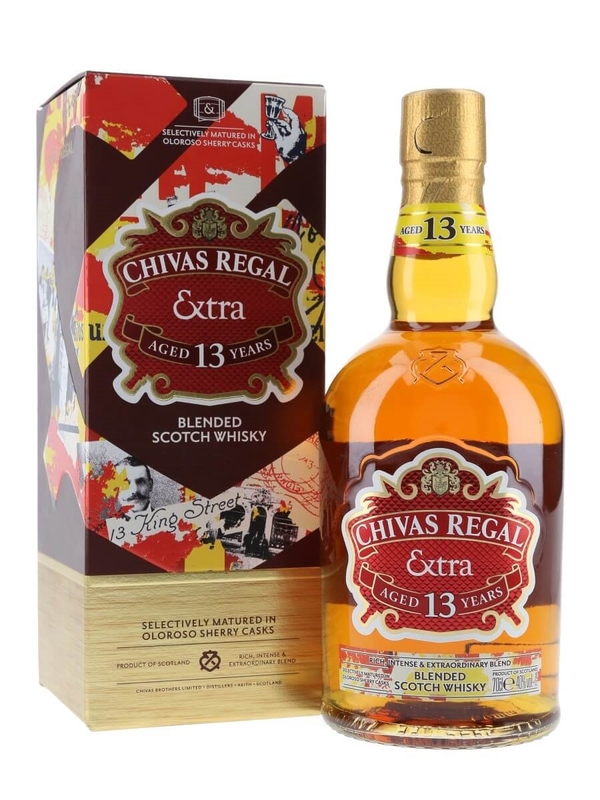 The Chivas Regal Extra was launched in 2015, at first as Travel Retail only. In the meantime it is widely available around the world. Price wise it is positioned between the 12 and the 18 Years. Taste wise it's better than the 12 Years in my opinion. The NAS Spirit is compensated with more Sherry casks and some Fresh Wood. 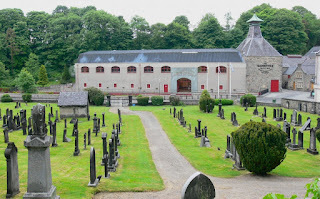 The resulting Blend with Strathisla and Aberlour as the most important Single Malts in the mix is a bit boring and extremely Middle of the Road. At the same time it's inoffensive, without off-notes and reasonably priced. Perfect for beginning Whisky drinkers. A Party Whisky! Conclusion: It's interesting to see how a better quality Wood and the addition of extra Sherry casks can enhance the quality of NAS Spirit. 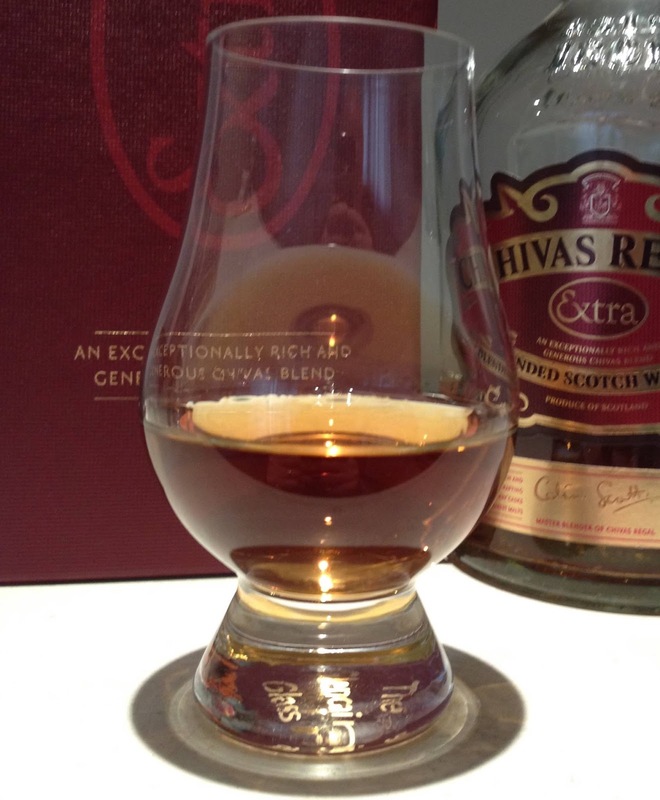 In fact, the Extra is more pleasant than the regular Chivas Regal 12 Years. It's also more expensive but in this case I think both producers and consumers will benefit from this new twist to an old story. The Price/Quality ratio is quite reasonable. The new Chivas Regal Extra is not interesting enough as a sipping Whisky as the Grain Alcohol keeps calling the shots. But it should do well as a Party Whisky and it might inspire a lot of beginning Whisky fans to have a closer look at the wonderful world of Whisky! A Blend with a mission! Nose: As always give your whisky sufficient time to open up before nosing. I recommend at least 20 minutes. The Cutty Sark certainly does not present an impressive nose with Malt, Sweet Grain (Breakfast Cereals), Citrus and Oak. There is Alcohol but not as much of it when compared to various other blends in the same price range. At some point I thought I nosed Apple Pie with Raisins and Cream but it’s not consistently there. There’s also something nasty that I can only describe as morning sickness after a stiff night on the town if you know what I mean. Quite a mixed bag that we have here! Taste: Delivery is a bit thin. Sweet, Simple but Drinkable with some Light Spices, Honeyed Grains, Extra Sweet Toffee and Apple. Finish: The honey/sugar sticks to the palate for a while followed by Oak and the unpleasant Nutty Bitterness that is so common in Standard Blends and for which I have deducted a full point. I would not recommend adding water to the Cutty Sark although you get a little bit more fruit (Melon) on the nose. But you completely destroy the taste. Conclusion: Cutty Sark is not an expensive whisky and as such it holds its ground when compared to direct competitors such as Dewar’s White Label, Grant’s Family Reserve, Ballantine’s Finest, Chivas Regal 12 Years, White Horse, the Famous Grouse and Johnnie Walker Red Label. Still it’s depressing when you realise that 90% of all whiskies sold worldwide are blends, many of them of comparable quality, quite a few of them better but lots of them worse as the subject of this review. Anyway, Cutty Sark is an acceptable blend given its competitive pricing. It has some Speyside-like sweetness on the palate and some citrus on the nose. There are some off-notes as well, respectively on the nose (Morning Sickness) and in the Finish (Nutty Bitterness). If you go for cheap and reasonable, Cutty Sark could be your blended whisky of choice. Or you could save a bit longer and buy yourself a Deluxe blend or a Single Malt. Guess what I would do!!! Nose: Mainly Sweet with some Sour and Salty accents. The Grain Alcohol is very present. A tiny bit of Smoke and Sherry in the background. I also find Toasted Cereals, Toast and Margarine, Earth and Grass, Brown Sugar, Treacle, Caramel, Butterscotch, some Nuts and Dried Fruits (Sultanas and Hazelnut), a little Fruit (Pineapple or perhaps Mango and overripe Bananas), light Citrus, Refill Wood, light Spices (Cinnamon and Nutmeg) and a hint of Tobacco. I can't get excited about this. 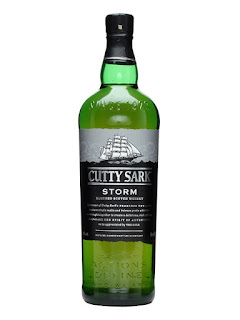 It's still quite similar to the standard Cutty Sark I reviewed earlier. A bit more Fruit perhaps. Palate: Slightly Thin delivery. Light, Bitter Sweet and mildly Spicy. 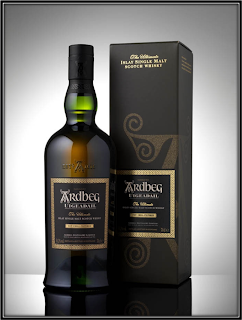 On the Palate and in the Finish, the Single Malt component is more noticeable. I find Toasted Cereals, light Honey, Brown Sugar, Corn Syrup, Caramel, Dried Fruit (Apricot and Sultanas), Pear, slightly Bitter Orange, Vanilla, Pepper, Ginger, Nutmeg, Mint, light Licorice, Charred Oak and a hint of Tobacco. The faintest puff of Smoke from a very distant fire. Finish: Middle-Long, Bitter-Sweet and mildly Spicy. Dry towards the end. I find Sugared Cereals, Vanilla, Charred Oak, slightly Bitter Orange Juice, Menthol, light Licorice, Caramel, Corn Syrup, Sultanas, Pepper, light Cinnamon, Nutmeg, Ginger and a hint of Tobacco. 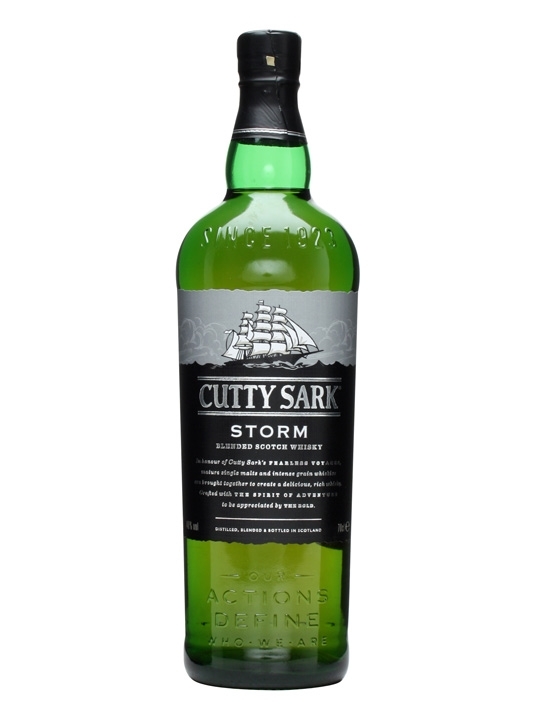 On the Palate and in the Finish the Storm clearly beats the standard Cutty Sark. Due to the fact that I merely had a small sample at my disposal, I only tasted this Blend neat. Conclusion: The Storm is indeed an improvement over the regular Cutty Sark. Not so much on the Nose but certainly on the Palate and in the Finish where the higher Malt content is noticeable. I also didn't find any off notes in the Storm. At an average 25 US Dollars, the Storm has an excellent Price/Quality ratio and it easily beats most of the Bottom Shelf Blends. It's one of the few cheaper blends that you can actually enjoy neat although it's a bit Thin on the Palate. Don't expect Whisky Heaven when you buy the Storm because that's impossible at this price level. But it's an acceptable Blend with an excellent P/Q ratio. Enjoy it while it lasts! 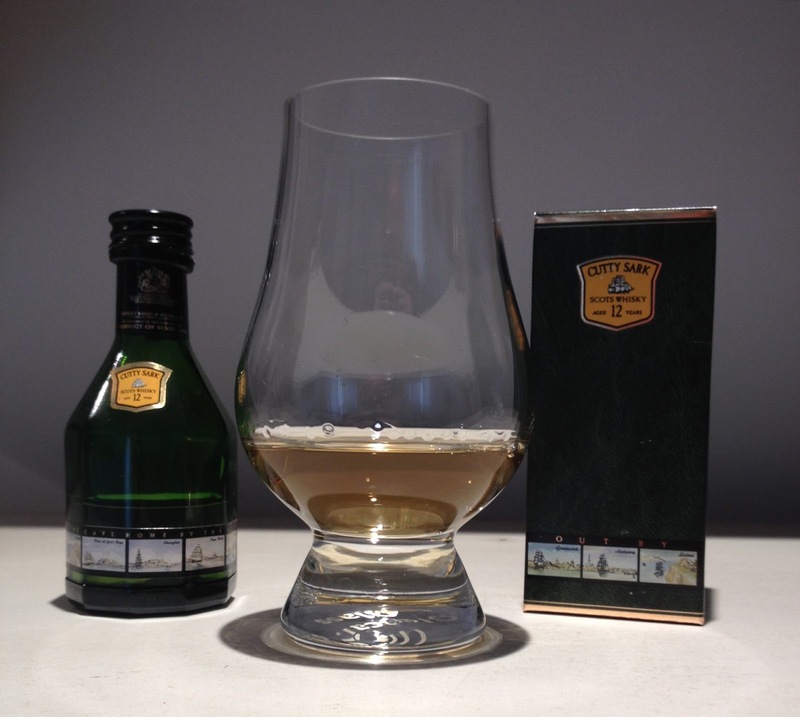 Very recently I received a 5 CL miniature bottle of the Cutty Sark 12 Years from my parents in law. They already had it in their possession for quite some time and their educated guess is that they most likely bought it in the early 1980's. Although the miniature was unopened, I observed that around 15% of the Whisky/Water combination had evaporated over time. I'm really curious to find out if the Blend is still drinkable and, if so, how it compares to the Original and Storm. Let's go! Maturation: Mostly American Oak. Probably a few Refill Sherry Casks as well. Buying Advice: 😕 Negative. Too Expensive. Go for the Storm! Nose: Very Light. The Grain Alcohol is quite noticeable. And so are the Refill casks. There's not a whole lot going on here I'm afraid. I find Toasted Cereals, Salted Caramel, Buttered Toast, Brown Sugar, Hay, Heather-Honey, Nutshells, Toffee, Dried Fruit (Sultanas, Banana), Apple, Orange, Lemon, Peach Jam, Dusty Attic, light Spices (Cinnamon, Nutmeg), Tobacco and Floral Soap. Most of these Aromas are just hints. There are no off-notes. I get a hint of Cooked Vegetables as well as some extremely faint notes of Smoke and Sherry. I had expected a bit more to be honest. Palate: Light Delivery. Mostly Bitter-Sweet. I find Toasted Sugared Cereals, Salted Caramel, Brown Sugar, Toffee, Heather-Honey, Vanilla, Orange, Lemon, Apple, Pear, Dried Fruit like Raisins and Sultanas, Pepper, Ginger, Nutmeg, Cinnamon, Menthol, Licorice, Tobacco, Charred Oak and the faintest hint of Smoke. Finish: Middle-Long and mostly Bitter-Sweet. A few Sour notes towards the dry end. I find Toasted Sugared Cereals, Heather-Honey, Salted Caramel, Grain Alcohol, Vanilla, Orange, Pepper, Cinnamon, Nutmeg, Ginger, Licorice, Menthol, Tobacco, Nuts and Charred Refill Oak. Due to the small size of the sample, I only tasted this Cutty Sark 12 Years neat. Cutty Sark was launched in 1923 by Berry Bros & Rudd, only three years after the introduction of Prohibition in the USA. 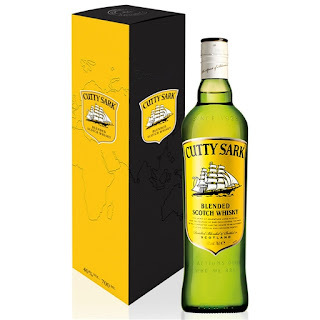 Coincidence or not, the Cutty Sark Blend became the best selling Scotch in the States in 1961. On April 1st 2010, the Brand was bought by the Edrington Group. I don't know exactly when the 12 Years was launched but it most likely was in the 1980's. 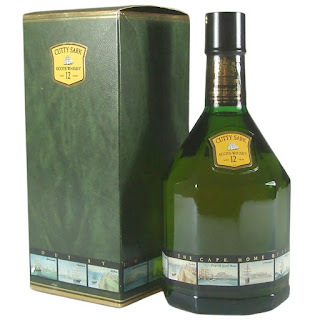 The 12 Years I'm reviewing today was a special release named "Out By The Cape, Home By The Horn". The unique multi-sided Emerald-like bottle has a special label that marks the historical destinations of the ship that gave this Whisky its name. 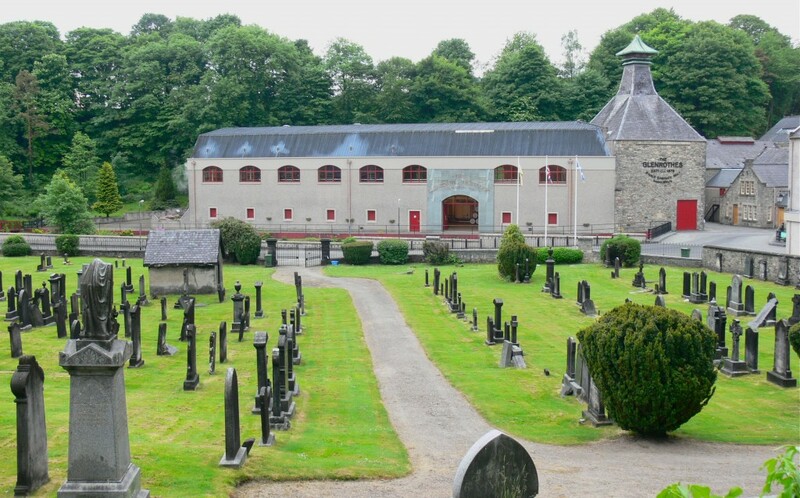 The Heart of Cutty Sark is the Speyside Glenrothes distillery. It usually also contains small quantities of Glengoyne, Macallan, Highland Park and Bunnahabhain. Drinking Experience Neat: Okay. I had expected a bit more. Conclusion: "In the old days the Whiskies were better". I've heard that a lot since I started writing about Whisky. Unfortunately I haven't been able to taste a lot of older whiskies so I can't give you my opinion. In any case I was slightly disappointed by today's Cutty Sark back from the 1980's. Or maybe I was just expecting too much! It's quite similar to the Cutty Sark Original and Storm of today and that's good in a way as well. Apparently the producers did not change the formula a whole lot during all those years. My favourite remains the Storm as it has the better Price/Quality ratio coupled to a better Wood management. 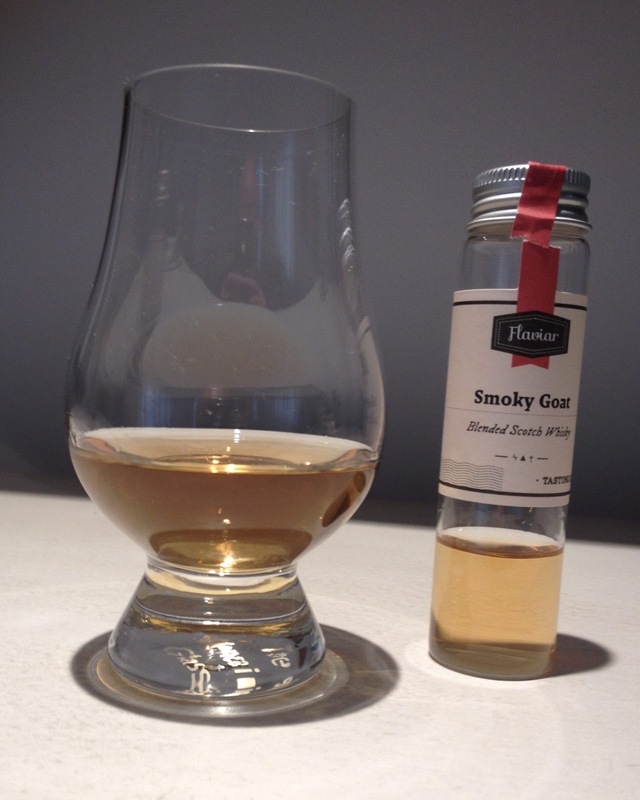 Nose: First impressions are Peat and Malt with some Sherry lurking in the back. After a while we get Tobacco, White Pepper, Black Tea and Old Leather. There are more wafts of young Grain alcohol than I would expect from a 15 Year old Blend. 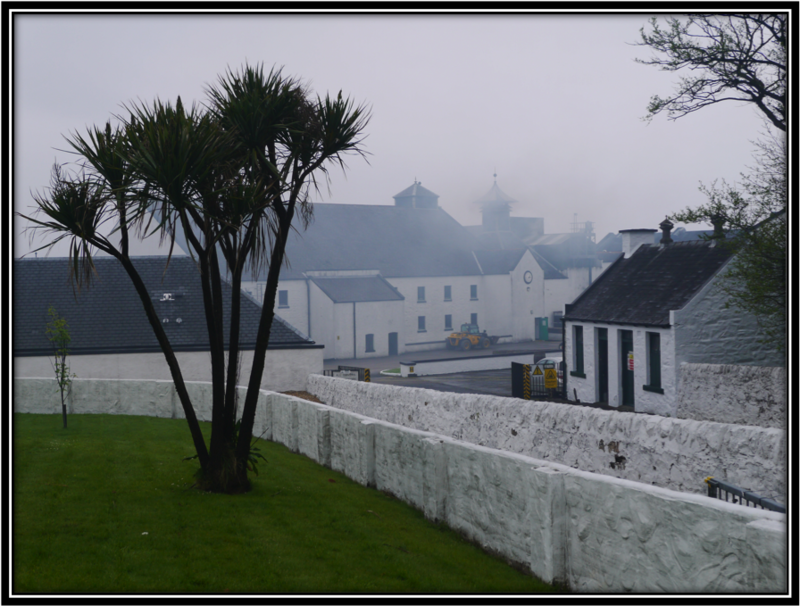 There is evidence of coastal – or Islay distilleries in this blend but I find it hard to describe them. It’s like smelling a salty sea breeze but maybe I’m getting a bit too poetic here. But definitively salty! It’s certainly less sweet than I expected given the presence of the Speyside Malts. There are certainly some interesting aspects to the nose but you need patience to get through the wafts of Alcohol that keep distracting you from time to time. I will deduct half a point for that. Taste: The delivery is a bit watery. A somewhat remarkable combination of sugary Candy and Peat, spiced up with White Pepper and Cinnamon. It’s hard to detect the malt whiskies here. Not at all elegant. No need to add water as the delivery is already on the thin side. Finish: Disappointing. Short and dry with salted Nuts and White Pepper. That’s too little for a 15 Year Blend. Conclusion: Really disappointing. The nose is interesting although without a clear purpose or vision. The wafts of Alcohol should not be that present after 15 years! Taste-wise there's too much sweet Candy and the finish is not worth mentioning. It’s drinkable of course but in Brazil you pay around US$ 100 for this blend! For about half that price you can get yourselves a great blend like Johnnie Walker Black! Very recently I received a 5 CL miniature bottle of the 15 Years from my parents in law. They already had it in their possession for quite some time and their educated guess is that they most likely bought it in the early 1980's. Although the miniature was unopened, I observed that around 1/3 of the Whisky/Water combination had evaporated over time. I'm really curious to find out if the Blend is still drinkable and, if so, how it compares to the 15 years that was bottled around 2010. Let's go! 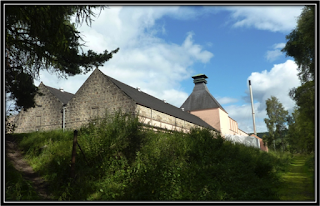 Maturation: My guess would be mostly American White Oak Casks with probably some Ex-Sherry casks in the mix as well. It's rather expensive but it gives you the opportunity to detect the differences between older Blends and their more recent versions. Nose: Light but not unpleasant. My guess would be that mostly refill Bourbon casks were used for maturation. Probably a small part of Ex-Sherry casks went in the mix as well. The Grain Alcohol is there but not in an aggressive way. I find Toasted Cereals, Sweet Barley, Caramel, Brown Sugar, Salted Nuts, Dried Fruit like Apricot, Raisins and Banana, Orange, Lemon, Apple, Vanilla, Marzipan, Fresh Mint, Cinnamon, Refill Wood and hints of Peat, Tobacco, Leather and Ginger. The main difference with the current 40% version is the lack of Aggressive Grain Alcohol. It's also less Peaty, more balanced and with more depth. Better casks most likely. Palate: Slightly Thin Delivery. An ABV of 46% would have been perfect for this Blend. I find Sugared Breakfast Cereals, Caramel, Toffee, Vanilla, Heather-Honey, slightly Bitter Oranges, Lemon, Apple, Salted Nuts, Mixed Fruit, Pepper, Cinnamon, Ginger, Mint and a hint of Peat. Finish: Candy Sweet but not in a cloying way. The Grain Alcohol is noticeable now but it just stays within limits. I find Sugared Breakfast Cereals, Sweet Malt, Caramel, Toffee, Vanilla, Heather-Honey, Salted Nuts, Pepper, Ginger, Orange, Apple, Menthol, Refill Oak and a faint hint of Peat. Both on the Palate and in the Finish this 1980's version of the J&B 15 Years shows more character and balance than the current expression at 40%. Better casks were used back than or at least so it seems. 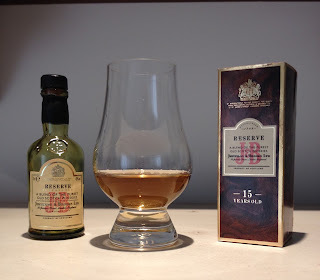 Due to the small size of the sample, I only tasted this J&B 15 Years neat. 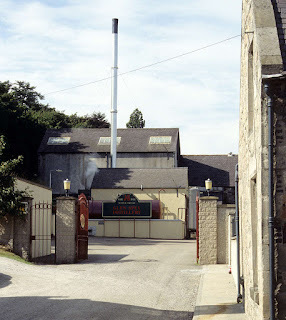 J&B was originally called Johnson & Justerini and was founded as a wine/spirit broker in 1749 in London. In 1831 the company was bought by Alfred Brooks and was renamed Justerini & Brooks. Currently it's the second best selling Blend in the world, only behind Johnnie Walker. 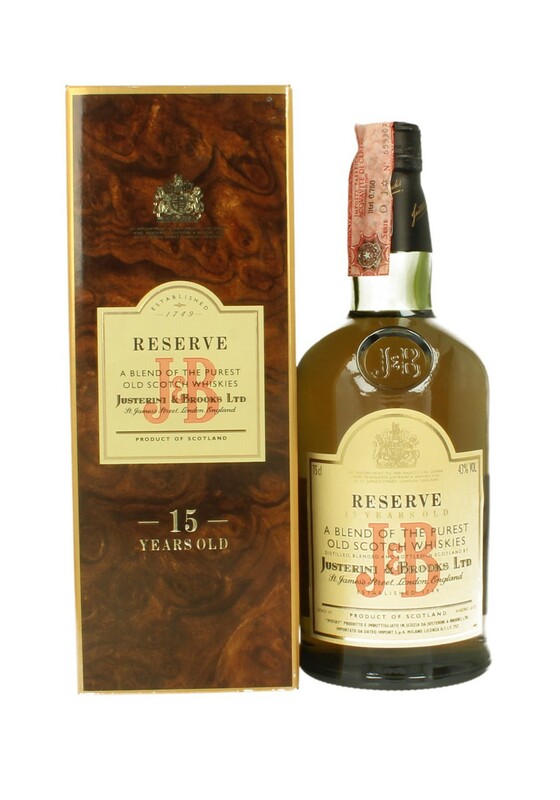 The original 15 Years was launched in the 1980's and bottled at 43%. It has been discontinued in the meantime and has been replaced by the current 40% expression. The 15 years is made of over 40 Grain and Malt Whiskies. 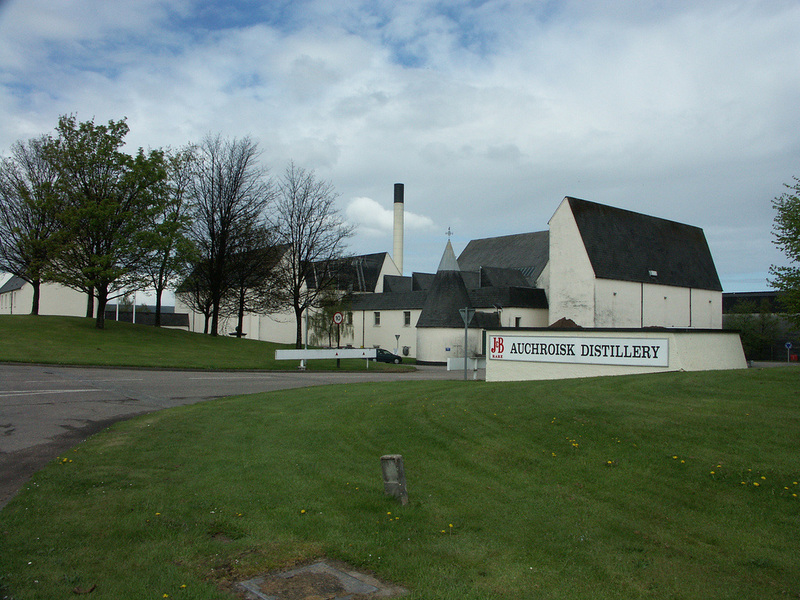 A good portion of the Malt hails from Knockando, Auchroisk and Glen Spey. 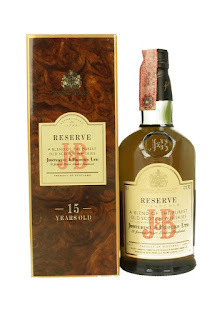 Conclusion: The J&B 15 Years bottled in the early 1980's is a gentle and light Blend with a Speyside character and a faint touch of Islay. It's not aggressive at any point and Grain Alcohol, Refill Wood and Sugar do not pass the limit. When compared to its today's brother it presents more character and balance thanks to a better Wood Management. The Islay content is certainly lower in the older version resulting in a better balance. It is still a little Thin though and it would certainly benefit if bottled at 46%. As a whole though the "old" version easily beats its younger brother on all accounts. Maturation: A mix of Refill Bourbon- and Ex-Sherry casks. Buying Advice: 😐Neutral. Not bad but a little Thin and quite expensive! Nose: Light and almost understated for a 15 Year old. The Grain Alcohol is there but not in an aggressive way. Bourbon and Sherry cask influence is noticeable. I find Toasted Cereals, slightly Burnt Toast, Toffee, Salted Caramel, Coconut Milk, Apple-Pie with Cream and Vanilla Sauce, Caffe Latte, Citrus Peel, Salted Peanut, Heather-Honey, Cinnamon, Clove, Allspice, Ginger, Floral Perfume, Pineapple and very faint hints of Licorice and Factory Smoke. The Nose is Light but not bad although the Grain Alcohol and the Refill Wood spoil the party ever so slightly. Palate: Light. Slightly Thin and almost Watery delivery. I find some Toasted Cereals, Toffee, Vanilla, Brown Sugar, Treacle, Apple-Pastry, Banana, Straw, Dried Fruit like Sultanas and Raisins, Sugared Almonds, Sugared Tea, Heather-Honey, Dried Herbs, Citrus Peel, Pepper, Cinnamon, Clove, light Aniseed, light Pineapple, Milk Chocolate, Refill Wood and Cocoa Powder. Finish: On the short side. Bitter-Sweet, a bit Thin, quite Spicy and a little Hot. Quite Dry and Peppery in the end. I find Toasted Cereals, Toffee, Caffe Latte, Milk Chocolate, Heather-Honey, Mandarin Juice, Lemon Peel, Cinnamon, light Aniseed, Pepper, Straw, Refill Wood and Vanilla-Flavoured Pipe Tobacco. Due to the small size of the sample, I only tasted this Lord Elcho neat. 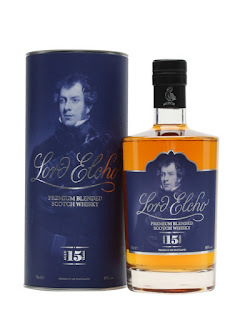 Lord Elcho 15 Years Blended Scotch Whisky was released in 2012 by Wemyss Malts, the Fife-based blender/bottler, founded in 2005 by William Wemyss. 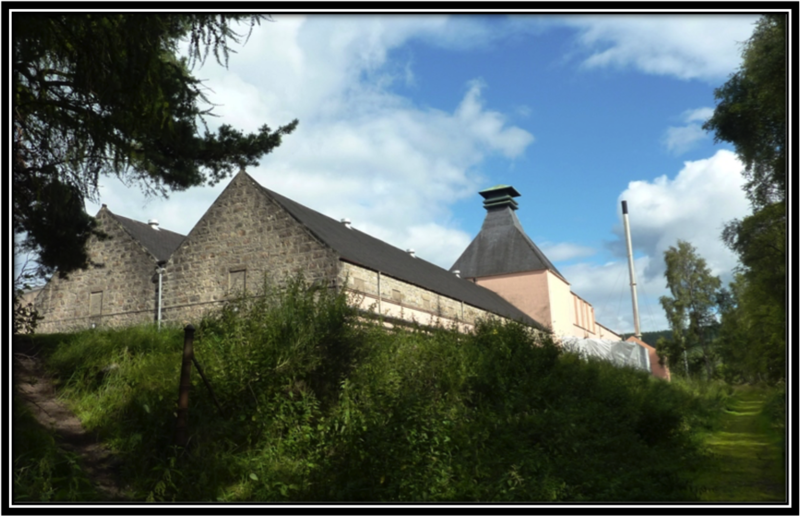 This family has traditional ties to the Whisky industry. Lord Elcho was the eldest son of the 5th Earl of Wemyss. 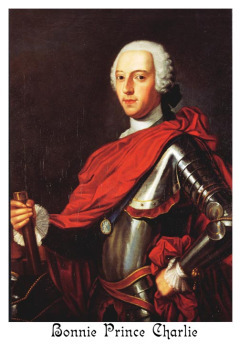 He was born in 1721 and sided with Bonnie Prince Charlie during the Jacobite uprising. After the defeat at the Battle of Culloden in 1746, Lord Elcho was stripped of lands and title and exiled to France. The Wemyss family recently constructed the Kingsbarns Lowland distillery. 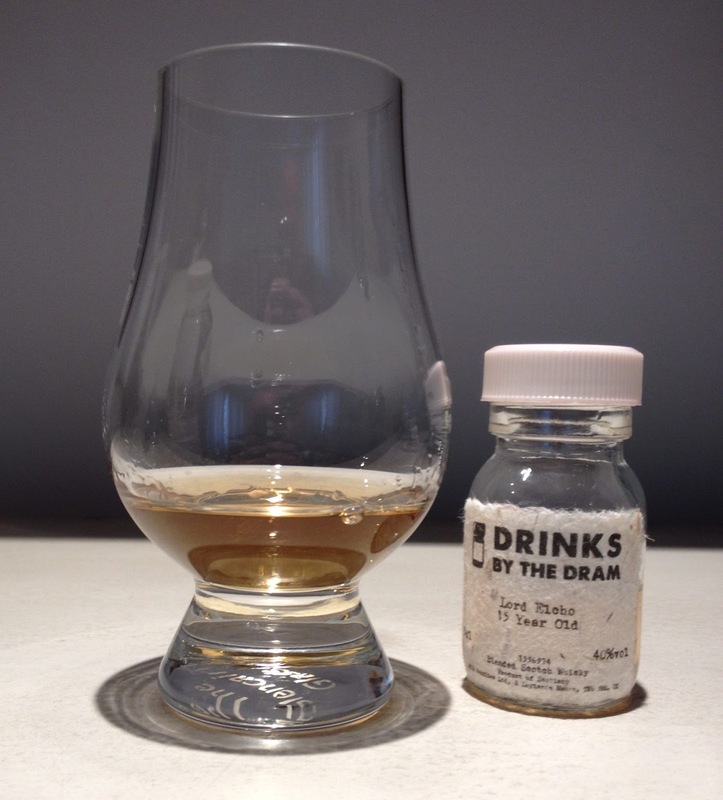 Wemyss released a NAS version of the Lord Elcho Blend in 2014. The 15 Years consists of Grain Whiskies (60%) and Malt Whiskies (40%). The exact recipe is not known but it might change from year to year to guarantee consistency. Drinking Experience Neat: Okay. Palate and Finish on the Thin side. Conclusion: The Lord Elcho 15 Years is not a bad blend and the Nose gives us sparkles of understated quality. But Palate and Finish are quite Thin and the majority of Aromas and Flavours are mere impressions. I would have expected more depth and volume of 15 Year Old Whiskies. As usual, the low ABV, Chill-Filtration and loads of indifferent casks are the probable villains. Despite its flaws, Lord Elcho 15 Years is still better than most average Blends. It is of course also much more expensive. It's up to you to decide whether you want to spend an average 70 US Dollars on this nice looking Bottle and packaging. Personally, I don't! Buying Advice: 😒 Negative. Too Thin. Worn Out Casks. Nose: Very Light. There's a faint Smoke there but it's so Thin it feels like a cask of Grain Alcohol was placed in a plane that flew over Islay for 10 minutes. Okay, I'm exaggerating a bit but you get the picture. I also find slightly Burnt Toast with a little Margarine, Salted Caramel, Toffee, Treacle, Musty Cereals, Nutshells, Dusty Road, Refill Wood, Straw and hints of Apple-Vinegar, Stale Cocoa Powder and bitter Grapefruit Juice. Palate: Thin, Watery, Hot and Bitter-Sweet with Grain Alcohol, Salted Caramel, Treacle, Nutshells, Toffee, light Dirty Smoke, Pepper, Menthol, Candies with Artificial Pineapple Flavour, Refill Wood and hints of Stale Cocoa Powder, Dairy and Cured Meat. Finish: Bitter-Sweet, Light, Hot and Spicy. The Bitterness increases towards the end. I find Grain Alcohol, Refill Wood, Whispers of Smoke, Ashes and Soot, light Cocoa Powder, White Sugar, Pepper, Menthol, Grapefruit Juice and a hint of Cured Meat. I added a few drops of Water and it actually helps to diminish the Heat and the Bitterness. It becomes awfully Thin though.The creators advise you to drink this Blend on the Rocks as the Ice should help to release the Smoky Flavours. My sample was too small to try that out. Smoky Goat is a mix of Scottish Grain Whisky, Highland - and Islay Malt. It was created by Craig Wallace, who is part of Whiskey Union, a creative collective, looking for unconventional Blends and flavour sensations. It's part of the Diageo Group and its products are distributed a/o by Flaviar who describe themselves as " a band of Spirit enthusiasts inspired by culture, rich history and also the art of distillation who forage the world of Spirits for the finest, rarest and most unique expressions out there and pack it all into a 21st century Members Club". Whiskey Union also released Boxing Hares, a mix of Blended Scottish Grain Whiskies and two Hop varieties namely Cascade, used in the production of American craft beers and Hallertau, used in the making of German Pilsner and Huxley, a blend of Scotch, Canadian and American Whisk(e)y. Smoky Goat is named after the wild goats that roam the rugged parts of Scotland. Conclusion: I've said it before and I will say it again. It is impossible to create a good Whisky without using good Oak. 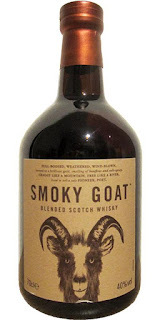 Smoky Goat is a good example. It is probably made with 70/75% 3 year old Grain Whisky that matured in Refill Oak that was used many times before. 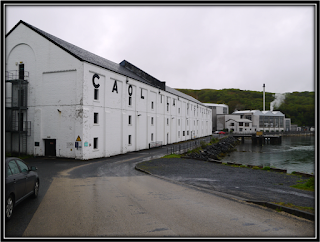 The remaining 25/30% consists of young Highland Malt from one of Diageo's large Blend-Driven distilleries and a dash of Islay Malt, most likely from Caol Ila. Do I know this for a fact? No, but it simply smells and tastes like that. 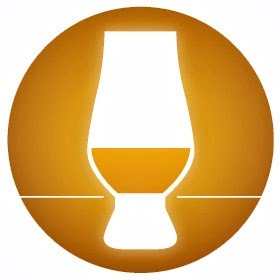 I do know that the word Whisky was called Uisge-Beatha in Scottish Gaelic. It means Water of Life. This Smoky Goat needs less Water and more Life!